Shanna Said: I love all the embellishments! Marcy Said: Her card is so gorgeous! Love the soft colors and all of her beautiful details! Holly Said: OMGosh this is so adorable, love this fabulous scene and all the details and the colors and oh those pearls! Laura Said: This picture is AMAZING! All the details that Becky put into this project are phenomenal! I love the large masquerade mask and the loopy line of pearls along the side of the frame. Her coloring is out of this world stunning as well! LOVED it! Rebecca Said: Love her fabulous mixed media creation! So many fabulous details and all those awesome pearls, Just Beautiful! Holly Said: Wow, what a work of art! I love the added pearls and the fabulous design. Holly Said: What a fabulous design, love the colors and the pearl is so perfect. 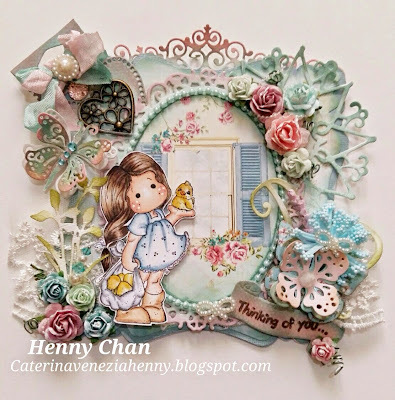 Blankina Said: Wow love the whole card, the pretty colouring of Anya, the flowers, pearls, lay out , colour combo...just perfect! Denice Said: Gorgeous colors, pretty details, and WOW...check out that bow! Laura Said: What a sweet card! 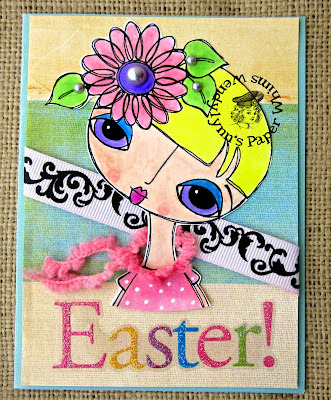 I loved the pearl heart that matched her die cut border along the bottom of her image panel. 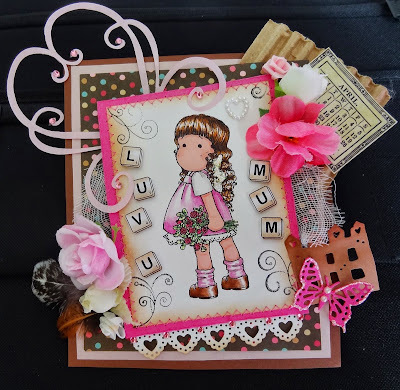 I also loved the swirly die cuts she used as well! Really a super adorable card! 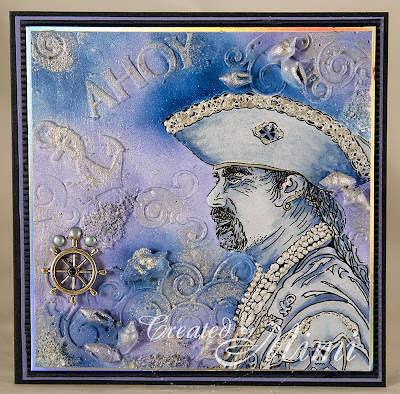 Lovely projects and what a fun challenge - everybody loves pearls!!! I am so thrilled. Thank you so much to Shanna, Marry and Holly for picking and giving your lovely comment on my card. It's really encourage me. Thanks also for this amazing blog. ooooh i've only just discovered that Laura picked my card as one of her favorites! thank you so much for that Laura, it feels so special, and i'm very touched by your adorable comment!! i am so very honored!! !